Disclosure: we received a Kettler Dakar Air Go-Kart in exchange for this review and giveaway. All opinions expressed are honest and my own. 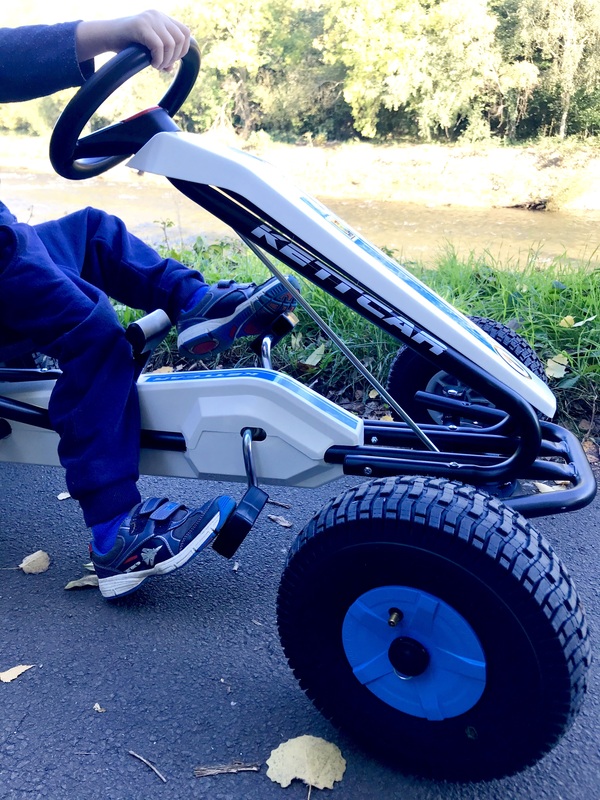 We had so much fun over half term putting our new Kettler Dakar Air Go-Kart to the test. 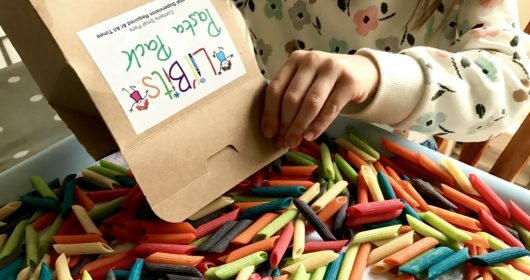 My children absolutely loved it – and we’re thrilled to be giving one away to one lucky Cardiff Mummy Says reader in this fantastic giveaway. 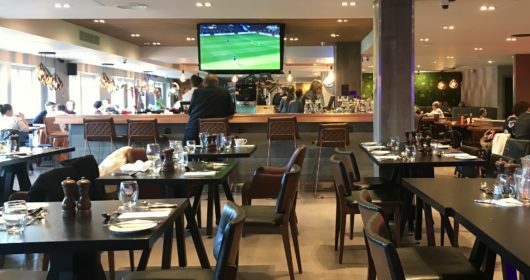 Read on to see why we enjoyed it so much as well as details of how to be in with a chance of winning your own. 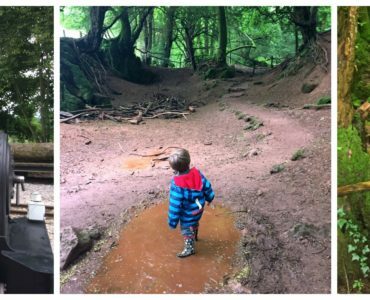 The beautiful autumn weather over half term meant plenty of days out in the fresh air for us – crunching in the leaves; jumping in the mud and collecting conkers; climbing trees. Not to mention road-testing (or perhaps that should be path-testing) our new Kettler Dakar Air Go-Kart. My children were beyond excited when the go-kart turned up at our house. 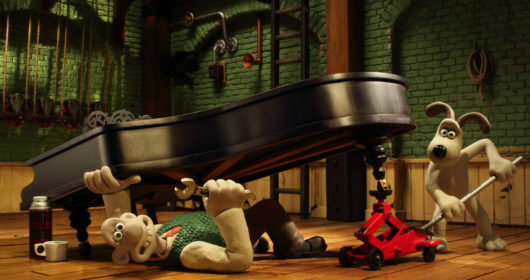 The box itself was huge – taller than all of them – and it took Cardiff Daddy and me around half an hour to assemble it. The main base of the kart was pretty much in one part. We just needed to fix on the steering wheel and the seat, which was easy enough to do by following the enclosed instructions. 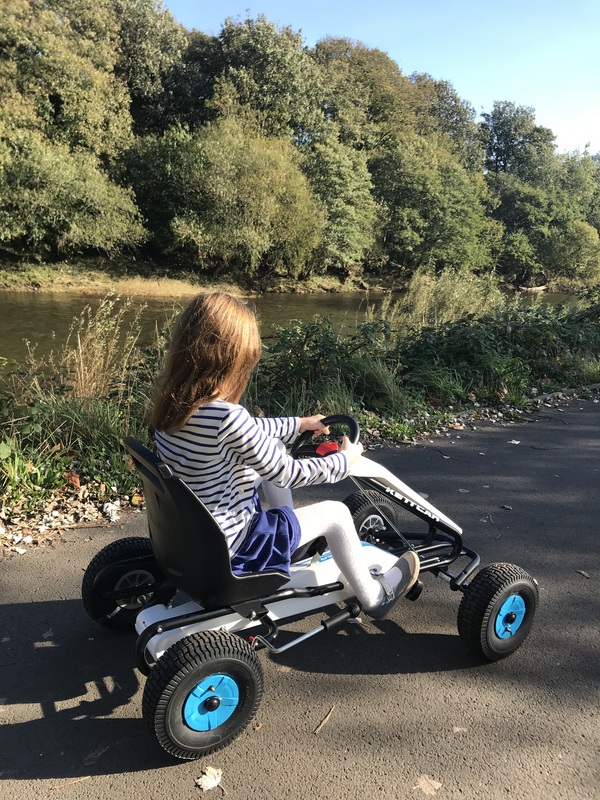 As you can see from these photos, it’s such a fun and exciting way to travel around and we got lots of comments from passers-by intrigued by the blue, black and white go-kart. 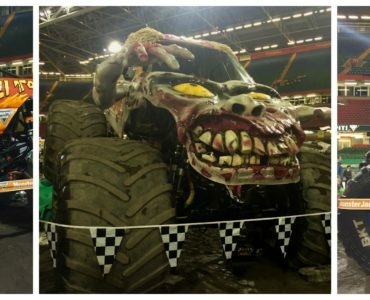 A word of warning – the go-kart is big. 125cm x 72cm x 65cm to be precise, with a weight of 17kg. 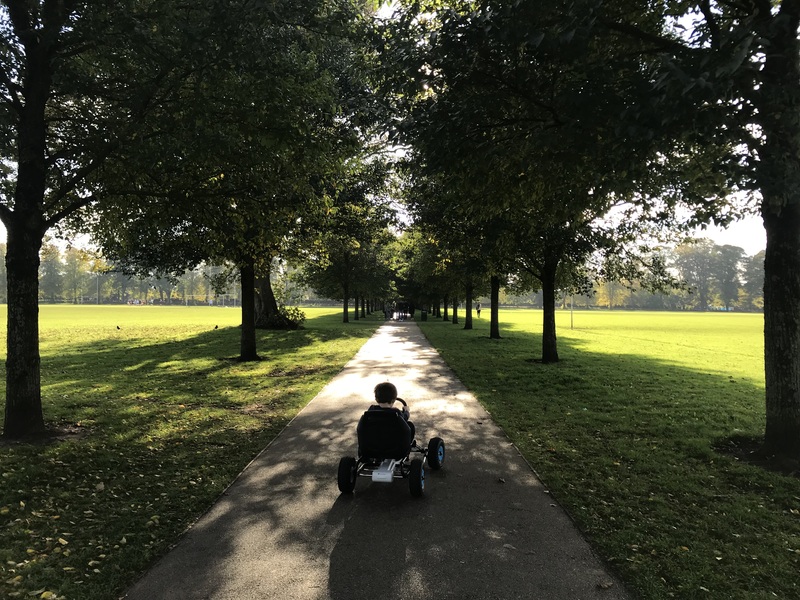 We have mostly used it when walking from our house to the local park, but the occasions when we took it out in the car we had to change the seating figuration in our seven-seater in order to fit all five of us and the go-kart in. However it stores up-right in our garage meaning it didn’t take up as much room as we thought it might. Kettler make a range of go-karts with other products suitable for 3-5 year olds and 4-8 year olds. 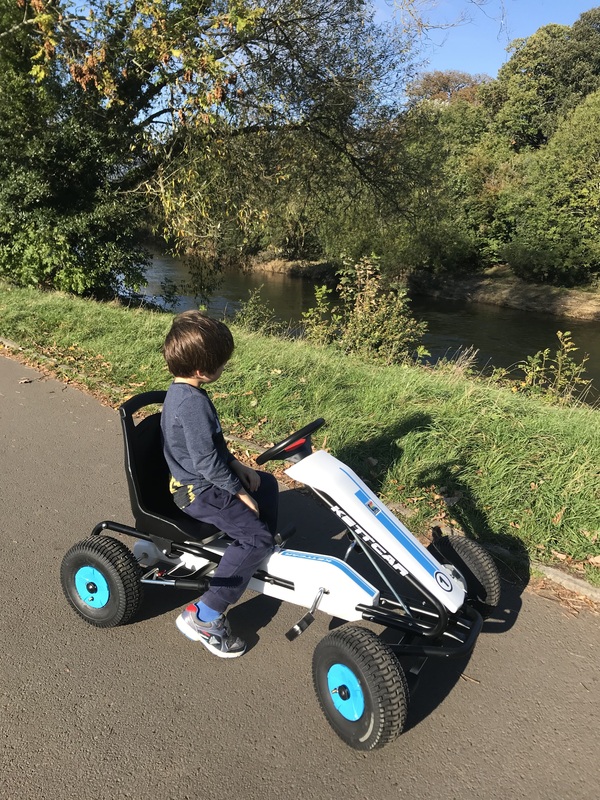 With my children aged 8, 7 and 4½ years old, we chose the Dakar Air to review because it’s designed to be suitable for children aged 5 to 10 years with a height guidance of 110cm to 140cm. This meant it suited our family perfectly because all three children can use it. 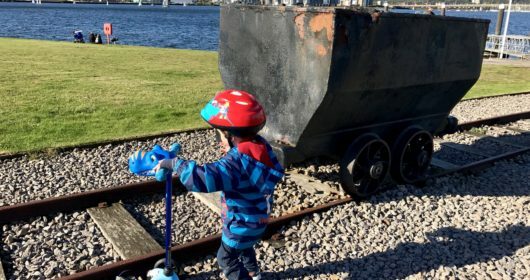 It’s not a cheap purchase retailing at £249 (although it’s currently reduced online to £199; other models start from £99) but I’m confident it will last us a few years and as it fits all three of my children we’re definitely getting our use out of it. It’s so easy for children to operate. All three of them had no problem pedalling and using the handbrake even my youngest. 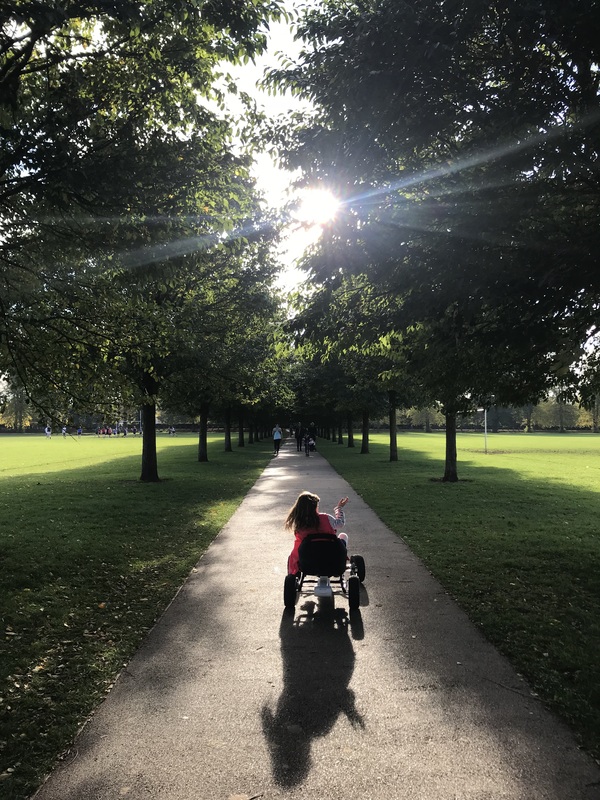 Miss E, my eight year old daughter, turned out to be a bit of a daredevil veering down some little hills – but the brake meant she was always in control of the go-kart and never came to any harm. We especially loved that you can adjust the moulded seat without the need for any tools. This meant my children could easily take it turns to be in pole driving position. 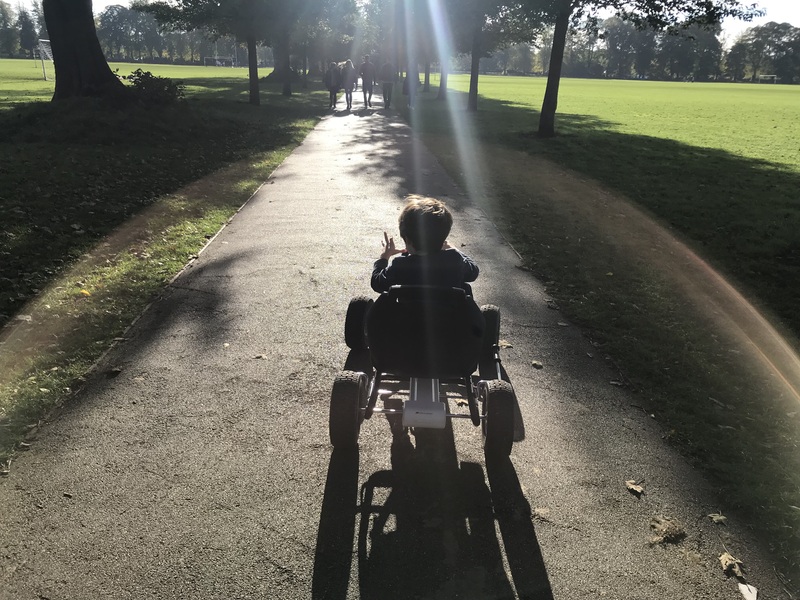 The go-kart seems incredibly durable and despite being raced around the parks of Cardiff over half term there’s no damage to the frame or wheels. The frame is made from tough steel and features a scratch-resistant polyester coating and the tyres are durable and air filled. 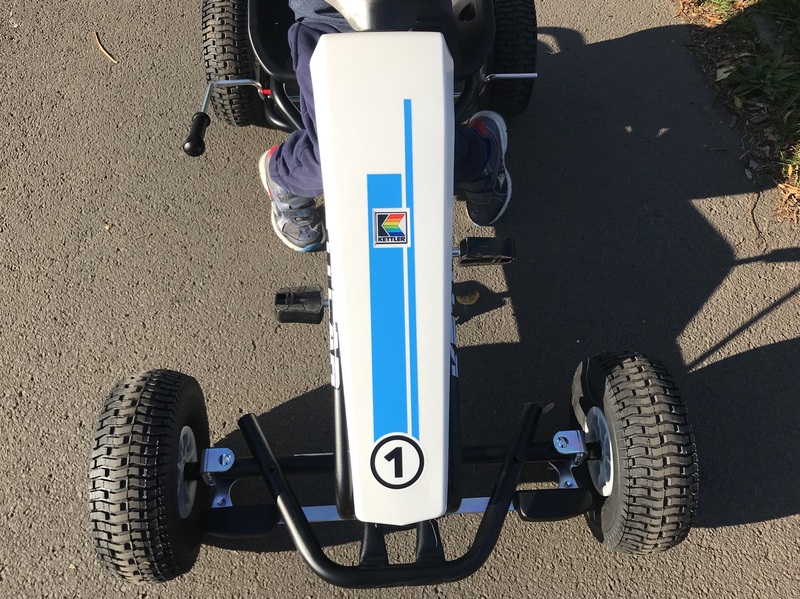 Kettler have been making high-quality children’s go-karts for more than 50 years. In fact, they’ve sold over 15 million go-karts since 1962. 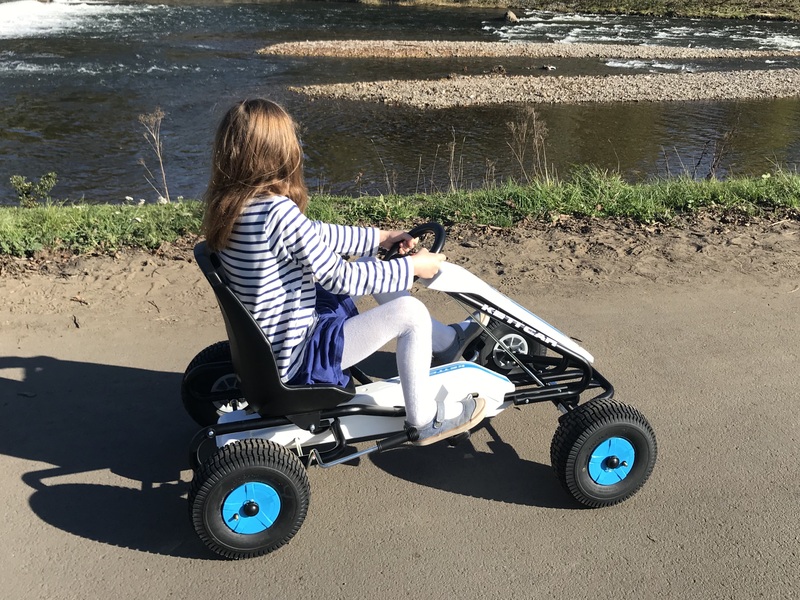 All have been designed with children’s safety in mind and while they may look like race cars they have been tested to the highest standards to ensure young drivers stay safe with easy to reach pedals, freewheel facilities, simple handbrake control, and adjustable seats. We’ve been so impressed with our Dakar Air. It’s a huge hit with all three children. 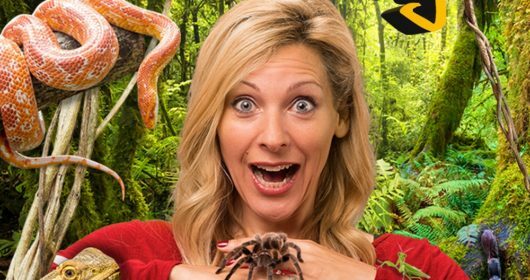 We loved our half term mission to put it to the test and I’m sure we have many more exciting adventures on it yet to come. Visit the Kettler go-karts website for details of all their products. If you fancy getting your hands on your own Kettler Dakar Air Go-Kart then enter this fantastic giveaway. For a chance to win leave the answer to this question on the Kettler Dakar Air Go-Kart giveaway post on the Cardiff Mummy Says Facebook page. Deadline for entries is Friday 16 November at 11.59pm. Good luck! designed to be suitable for? The promoter of this competition is Kettler (GB) Ltd, Merse Road, North Moons Moat, Redditch, Worcestershire, B98 9HL. There is one prize, consisting of a Kettler Dakar Air Go Kart worth £249 RRP. Details of the product can be viewed here. There is no alternative prize. No cash alternative can be offered for the prize. 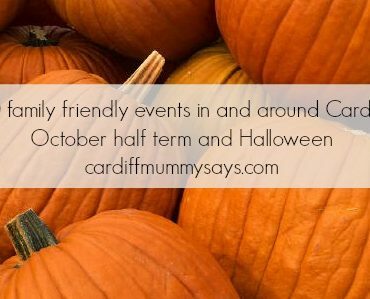 To be entered into the giveaway, entrants must write the answer to the question above on the Win a Kettler Dakar Air Go-Kart post on the Cardiff Mummy Says Facebook page. Closing date for entries is Friday 16 November, 11.59pm. Entries received after this time will be disqualified. Entrants must be aged 18 or over and be residents of mainland United Kingdom or Northern Ireland. It is a condition of entry that all rules are accepted as final and that the entrant agrees to abide by these rules. Entrants must enter the competition in their own name; you may not enter on behalf of another individual. Should you use a false name, or use an online user profile that is not linked to a real individual, or has been set up for the purpose of competition entry, you will be disqualified. Any person that is: (a) an employee of Kettler (GB) Ltd, (b) employed by any agency associated with Kettler (GB) Ltd or (b) an immediate family member of such employees is not eligible to enter the competition. 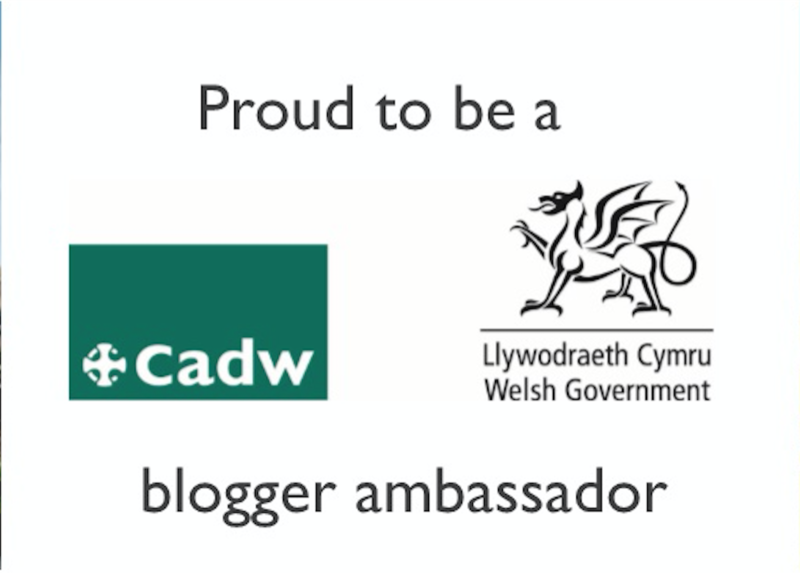 Relatives of Cathryn Scott, author of Cardiff Mummy Says, may not enter the giveaway. The winner will be chosen at random from all correct entries submitted before the closing date. The winner will be informed with a reply to their Facebook comment and a direct Facebook message letting them know they have won. All reasonable attempts will be made to contact the winner. If the winner cannot be contacted within 48 hours the prize will be forfeited and offered to another eligible entrant. Delivery will be provided to mainland UK or Northern Ireland only as per Kettler (GB) Ltd standard delivery policy. The prize includes delivery, but not assembly. The winning entrant will be required to provide proof of ID and sign for the prize on delivery. Delivery of prize will take place no more than 30 days from confirmation of winning entrant’s delivery details. The winner agrees to the use of his or her name and disclosure of county of residence relating to any post-winning publicity. Entry into the competition is deemed acceptance of these terms and conditions. Kettler (GB) Ltd and Cardiff Mummy Says reserve the right to withdraw this offer at any time or amend these terms and conditions without prior notice, for whatever reason, and without liability for doing so. 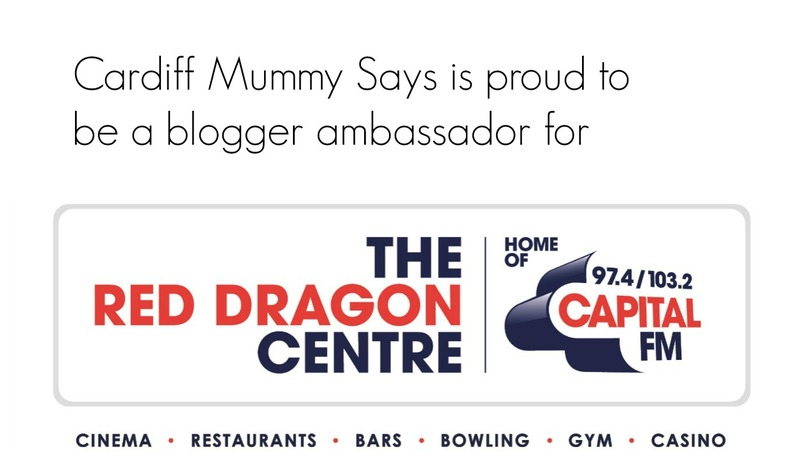 Cardiff Mummy Says cannot be held responsible for the failure of third party organisations to provide the prize, or for loss, damage or non-arrival of the prizes. Kettler (GB) Ltd will always use your data responsibly and only collect, store and process your data in accordance with the Data Protection Act 1998 and the Privacy & Electronic Communications (EC Directive) Regulations 2011. 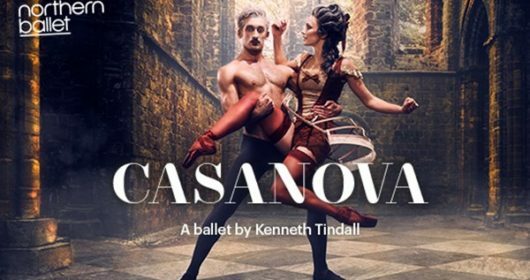 WIN a pair of tickets to Northern Ballet’s Casanova at the New Theatre Cardiff this Thursday! 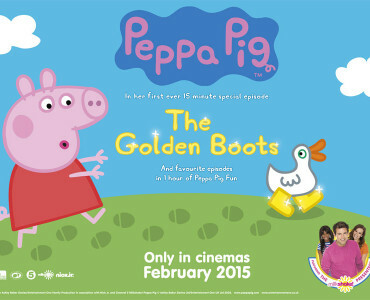 £18 to see Peppa Pig The Golden Boots in the cinema – was it worth it? 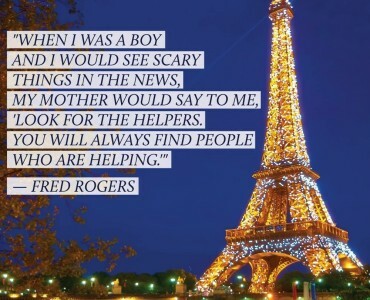 How do I talk to my children about terrorism when I don’t understand it myself?